All three of NASCAR’s national series — Monster Energy NASCAR Cup, Xfinity and Camping World Truck — are in action this weekend, but not in the same place. The Truck Series heads to Gateway Motorsports in Madison, Ill., near St. Louis, for Saturday night’s Drivin’ for Linemen 200. 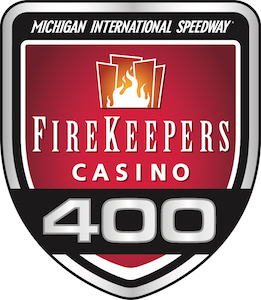 Meanwhile, the Cup and Xfinity series head to Michigan International Speedway in Brooklyn, the Xfinity Series for Saturday afternoon’s Irish Hills 250 and the Cup Series for Sunday’s FireKeepers Casino 400, the first race of the second half of the 26-race regular season. Although only two of NASCAR’s three national series are at MIS this weekend, the Michigan race weekend will provide a tripleheader of weekend activity, as the ARCA Racing Series also runs at Michigan on Friday evening. The headliner of the weekend, Sunday’s Cup Series race, will be a 200-lap affair, broken into two 60-lap stages and a final 80-lap stage. The other Michigan NASCAR race for the weekend, the Xfinity race, will be 125 laps long, divided into two 30-lap stages and a 65-lap stage. The 160-lap Truck Series race at Gateway will be broken into two 35-lap stages and a final 90-lap third stage. Significant chances of thunderstorms plague the weekend race schedule at Michigan International Speedway. There 62 percent chance on Friday, a 55 percent chance on Saturday afternoon and a 55 percent chance of thunderstorms Sunday morning. Meanwhile, temperatures in the 80s are expected. Highs Friday and Saturday are expected to reach the mid-80s, with Sunday’s high expected to reach 80s. Lows Friday and Saturday night in Michigan are expected to be in the mid-60s to low-70s. Meanwhile, a Saturday thunderstorm at Gateway is predicted for the Truck Series’ one-day show. That 51 percent chance of a storm is for Saturday morning, and it’s supposed to clear out in time for Truck Series qualifying and racing. Temperatures are expected to be hot for the day at Gateway, with the daytime high reaching 94 degrees (with a heat index of 102 degrees). The temperature is expected to cool down to the low-70s by Saturday night, though.